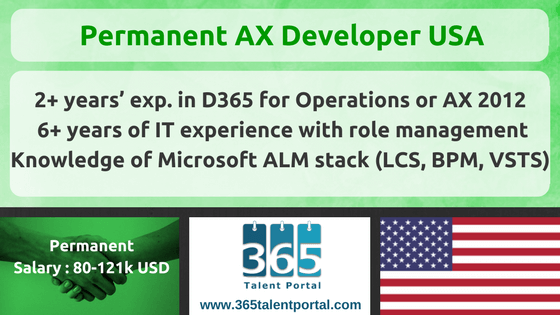 We are looking for a candidate to fill the Microsoft Dynamics AX Developer USA position. Our Client’s IT Business Systems Team deploys and manage enterprise and leading-edge software systems that are part of the com lead generation, sales, order fulfilment, warehouse and installation operations. They leverage Cisco and Microsoft technology solutions to enable their business to be agile and react to fulfil key business objectives in a time sensitive manner.